Friendships can be inferred with 95% accuracy from call records and the proximity of users, says a new report. 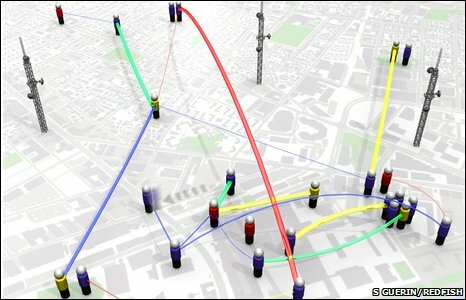 Researchers fitted 94 mobiles in the US with logging software to gather data. The results also showed that those with friends near work were happier, while those who called friends while at work were less satisfied. The data, published in Proceedings of the National Academy of Sciences, showed a marked contrast with answers reported by the users themselves. "We gave out a set of phones that were installed with a piece of 'uber-spyware'," said the study's lead author Nathan Eagle, now at the Santa Fe Institute. "It's invisible to the user but logs everything: communication, users' locations, people's proximity by doing continuous Bluetooth scans." The researchers then compared the data with results from standard surveys given to the mobile users - and found, as the social sciences have found time and again, that people reported different behaviour than the mobile data revealed. "What we found was that people's responses were wildly inaccurate," Dr Eagle told BBC News. "For people who said that a given individual was a friend, they dramatically overestimated the amount of time they spent. But for people who were not friends, they dramatically underestimated that amount of time." The researchers were able to guess from the mobile data alone, with 95% accuracy, if any given pair of users were friends. An analysis of the overall proximity of a given user to his or her friends - maximised if they worked together - was correlated to people who reported a high level of satisfaction at work. Conversely, those who made calls to their friends while working were found to report lower levels of satisfaction at work. One principal question of such a small sample size, made up exclusively of students from the Massachusetts Institute of Technology, is how much the results really mean in a sociology context. However, the group has gone on to carry out a larger study that just finished, comprising 1,000 people in Helsinki, Finland. There is also an ongoing trial of the approach in Kenya, which Dr Eagle said includes participants ranging from computer science students to people who had never used a phone before. 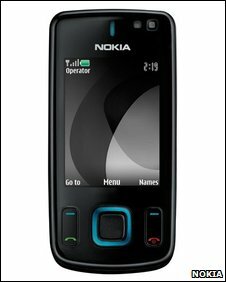 Standard Nokia 6600 handsets were fitted with "uber-spyware"
Dr Eagle sees the approach not as a means to supplant but rather to supplement traditional measures. "Mobile phone data are fantastic complements to the existing, very deep survey literature that the social sciences already have," he said. Moreover, he sees it not just as a means to map out the networks of friends that mobile users might have, but to carry on this "reality mining" in contexts ranging from the modelling of the spread of disease to the design of urban spaces. "We were capturing data when the Red Sox won the [baseball championship] World Series for the first time," Dr Eagle recounted. "Suddenly all our subjects became unpredictable; they all flooded into downtown Boston to a rally in the centre of the city. "City planners approached us because they wanted to know how people were using urban infrastructure, to know when the people left the rally, how many walked across the bridge and how many took the subway, how many biked or took the bus. "We can give them some real insight with the idea of helping them build a better city that reflects people's actual behaviour."